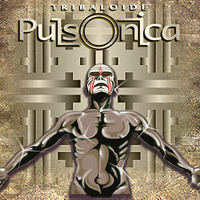 Pulsonica's discography includes two studio albums independently produced. The main feature of these recordings is that they were made ​​almost entirely with the band playing alive, in a single day session. Guest musicians have performed in these two albums bringing new sounds to the original staff. Recorded at Sound Rec Studios, Buenos Aires, Argentine Republic. JORGE GONZALEZ: Drum Set, timbale & xylophone. CAROLINA COHEN: Congas Set & accessories. MARCELO TUBIO: Guitars & programming. Invited Musicians: Fabián Tejada (Didjeridoo & Steel Drum), Sergio Gutiérrez (Keyboards), Patricio Resico (Bass Guitar). Technicians: Axel Sierra Bas, Ricardo Sanz & Facundo Colella. Mix & Mastering: Axel Sierra Bas. Video Edition: Leandro Patronelli. 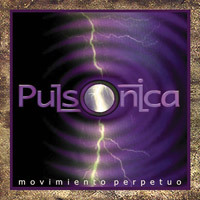 Recorded at Tonica Studios, Buenos Aires, Argentine Republic, from July to November 2007. Contains a bonus video track with the recording sessions. Guest Musicians: Pablo Iglesias (aerophone instruments) & Ariel Viale (hand timbale). Technical assistance: César Clementino. Mix & mastering: César Clementino & Axel Sierra Bas.